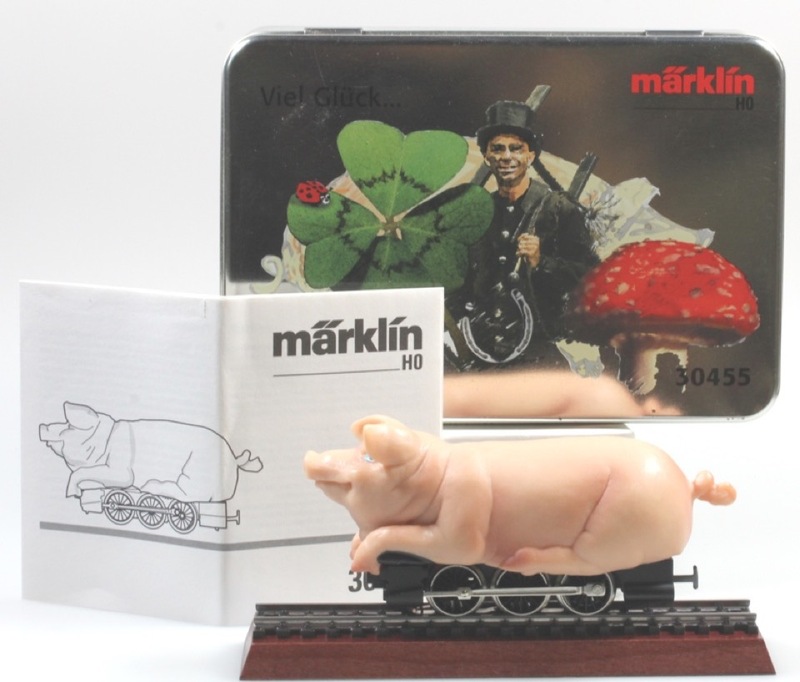 Marklin H.O. #30455 Glückschwein-Lok / Lucky Pig Good luck Delta locomotive. New in special tin box with original instructions. Produced and sold from 1999 to 2004 for the Marklin three rail A.C. system. This is a metal frame 0-6-0 locomotive with a Delta Digital circuit board control system. Delivery by U.S. Mail is $10.00 to addresses in the USA. Insurance is included.